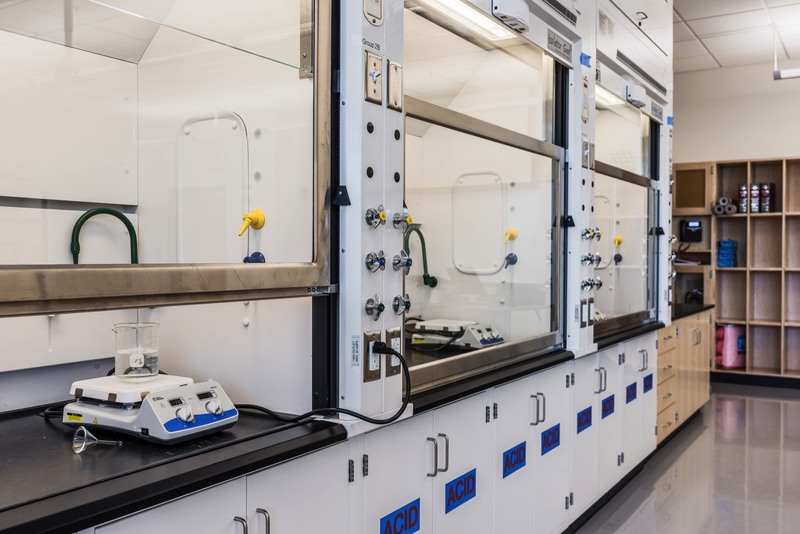 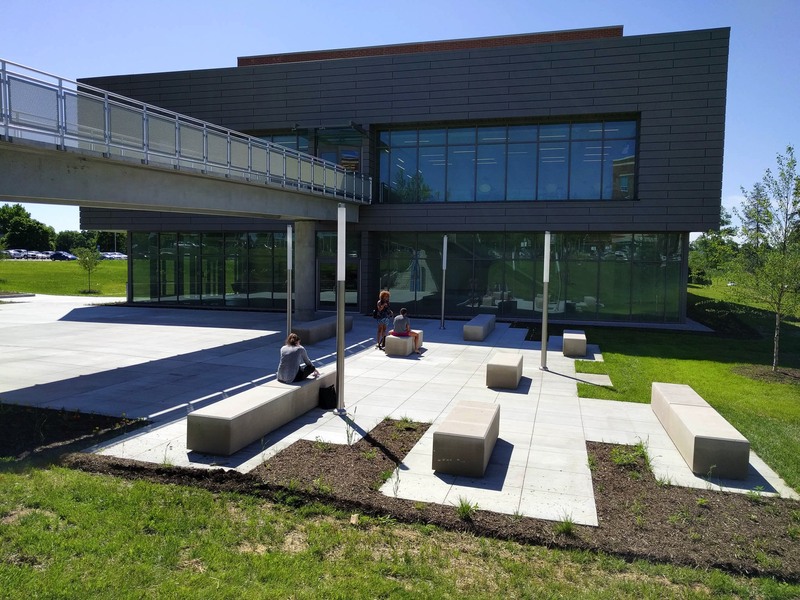 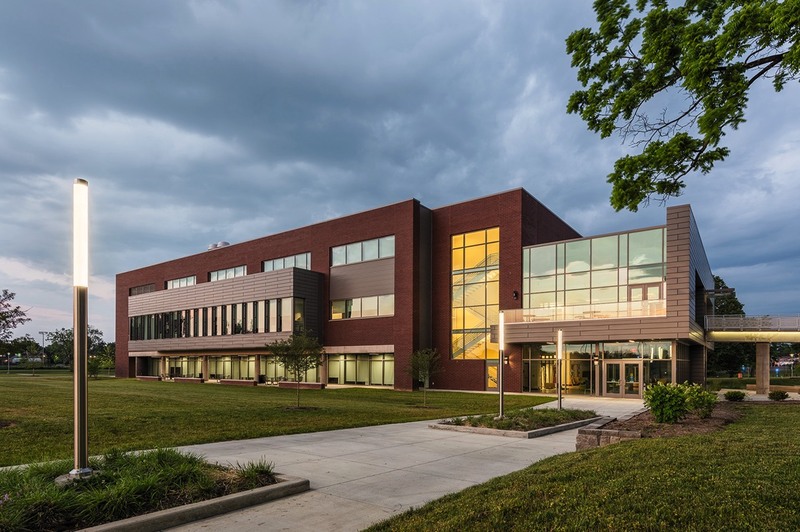 As part of Kentucky Community & Technical College’s BuildSmart initiative, Bluegrass Community and Technical College expanded its Newtown Campus with the construction of a 65,000 square foot Science Education Center for multiple degree programs. 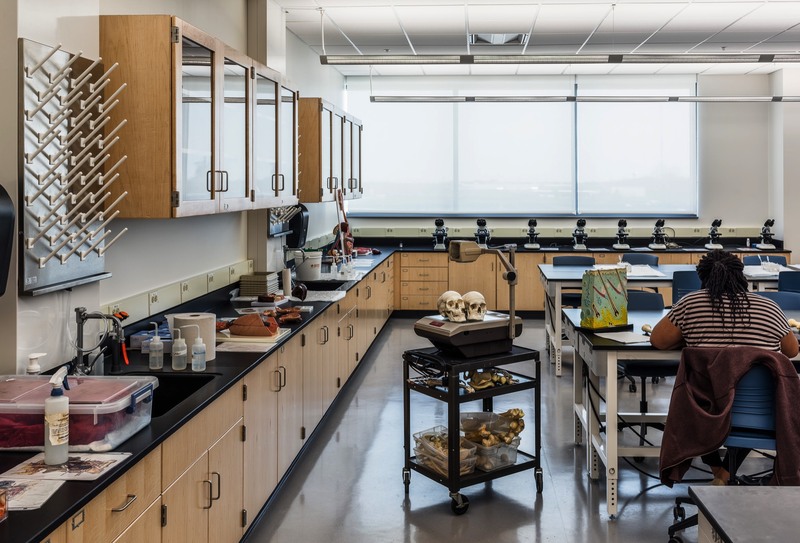 The facility houses laboratory space, science classrooms, administrative/faculty offices, and other auxiliary spaces. 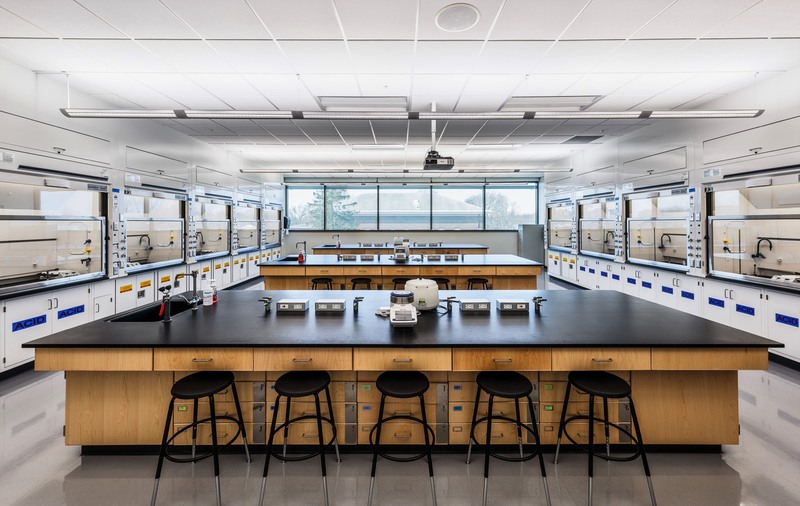 Student support spaces include areas for quiet study, interaction zones, and student lounges. 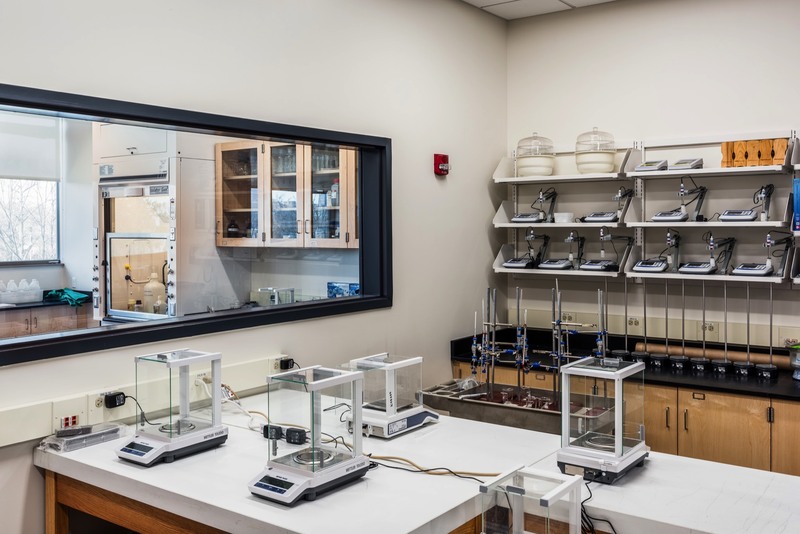 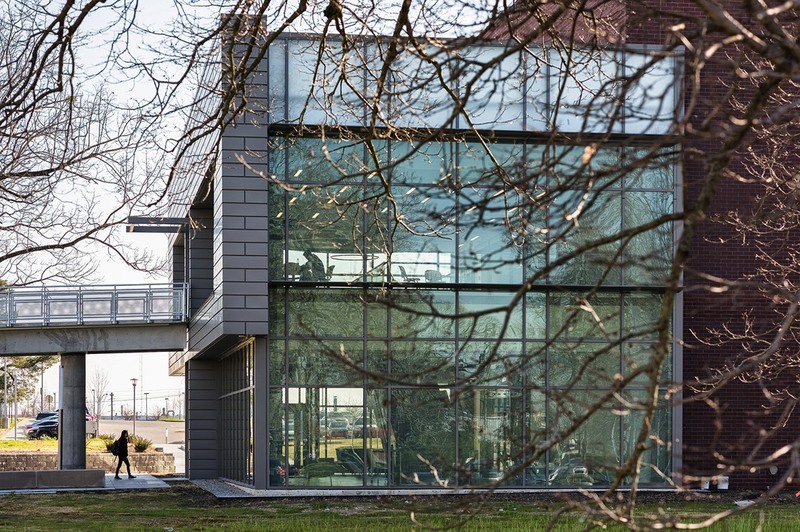 The facility showcases BCTC’s commitment to excellence in the sciences and to preparing our next generation of graduates for tomorrow’s workplace. 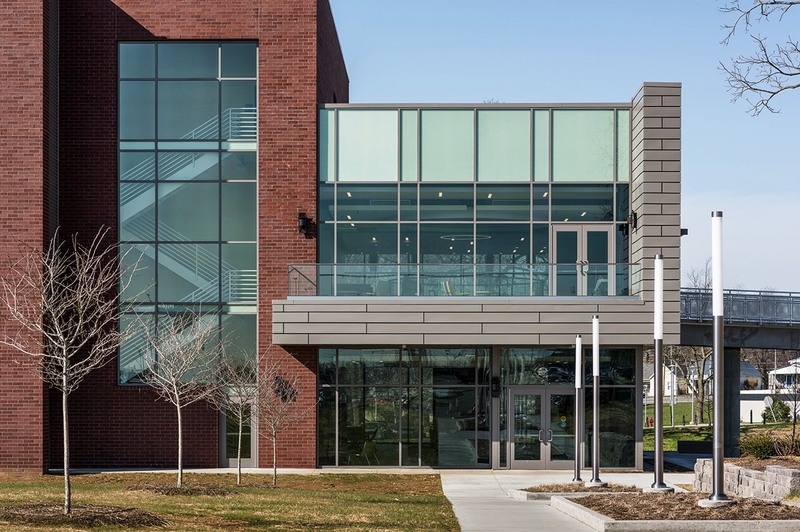 Targeting LEED Silver certification, the design includes innovative sustainable practices such as light shelves, low emissivity glazing, utilization of regional materials, ample daylighting and views, and energy/water conservation measures throughout the building.